Dr. Brian MacLaughlin is a recognized general surgeon in Torrance, California. He received his medical diploma from Georgetown University School of Medicine in 2011. 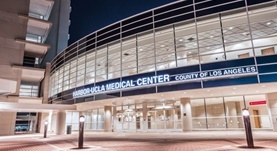 Dr. MacLaughlin completed his medical education with a residency in general surgery at Harbor – UCLA Medical Center. The State Medical License issued in California gives him the right of medical practice in that state. This doctor works at Los Angeles County – Harbor – UCLA Medical Center. He has published two articles in collaboration with other doctors.